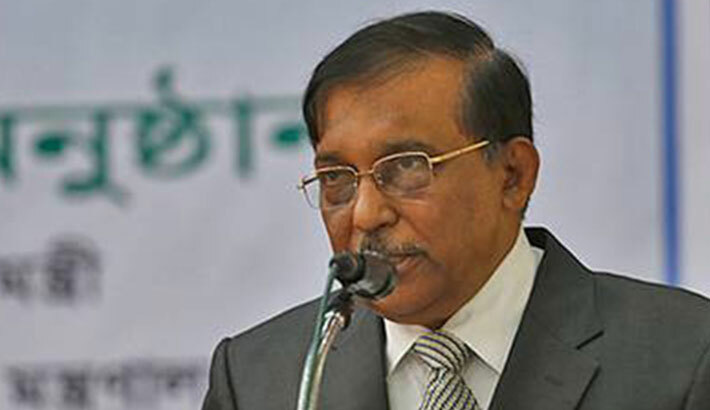 Home Minister Assaduzzaman Khan Kamal on Wednesday said Prime Minister Sheikh Hasina has taken zero tolerance policy against militancy. Accordingly, the law enforcers are conducting drives against terrorists. He said, “There is no space for terrorist and militancy in the country”. The minister made the disclosure while talking to the journalists at Mymensingh police media centre on this noon. “The law enforcing agencies could combat terrorist and militancy with strong hand with the help of people. The people of the country want peace and progress of the country,” he added. He further said that militancy is not a problem for our country alone but it is a global problem. Mentioning the successful drives against militancy by police and other law enforcers Minister said police attained the trust of the mass people by the moves against terrorist and militancy through sacrificing their lives. Kamal said those who were involved in militant activities must be brought to book and punished.